Hey Everyone! Thank you so much for stopping by, I am back to share with you another Birthday Card. 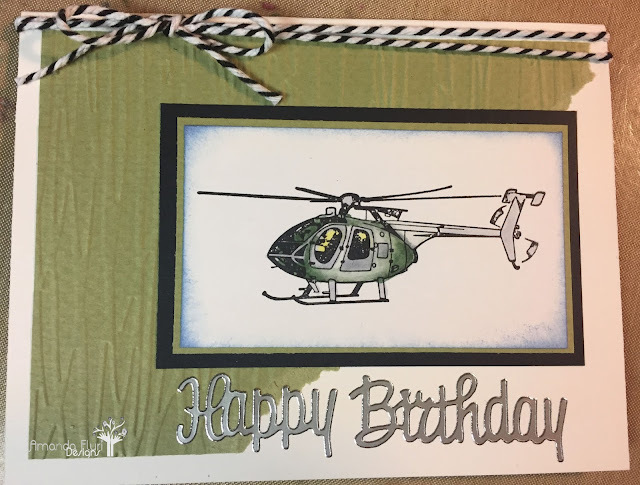 I mentioned a couple weeks back that you would be seeing many Birthday cards over the next several weeks, and well it doesn't look like its going to stop anytime soon. I have been working on a card order for a couple people and here's one of the Birthday cards that are in it. If you follow my blog you know how much I love to design with scraps, and well this card is made completely out of scraps. The Helicopter was already coloured, and mounted to the paper, and in my scrap drawer, and the card base already had the embossed pattern attached to it, so I thought they would work perfectly together. I finished it off with a bow and the sentiment and done. I really like the simplicity of this card, yet how masculine it is! 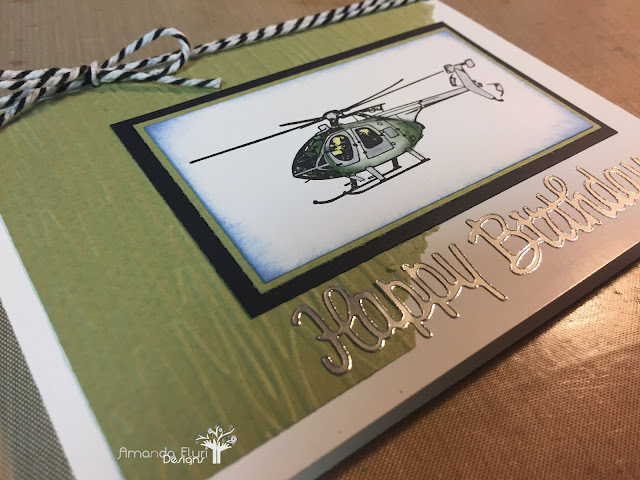 Unfortunately because this card was made out of scraps, and I have no idea what embossing folder, or which company's stamp this is or even what I coloured it with, and the ink that was used for the edging, I won't be listing the supplies used! Thanks for stopping by to check in and see whats new. Can't wait to share something new with you tomorrow hopefully.